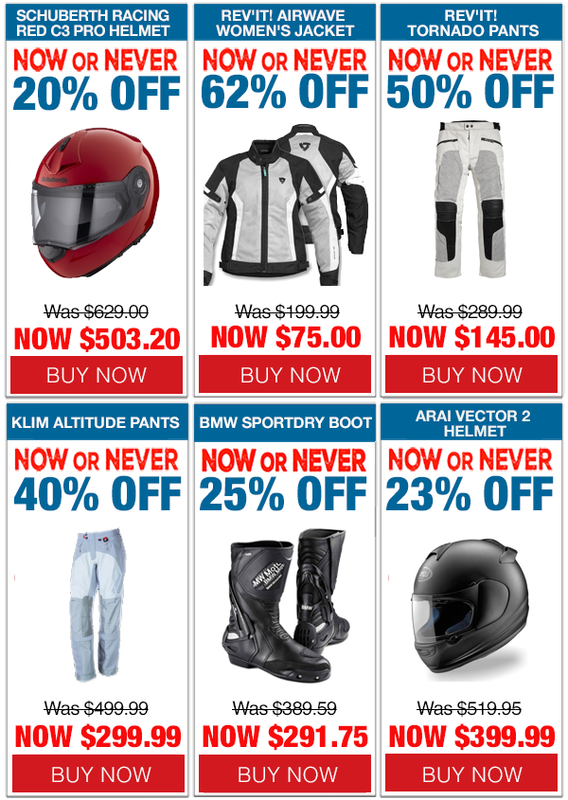 Now or Never Sale is Back & Starts TODAY! The Biggest Sale Of the Year Is Going On NOW! The BIGGEST markdowns of the year on overstock and closeout apparel from all the major brands! 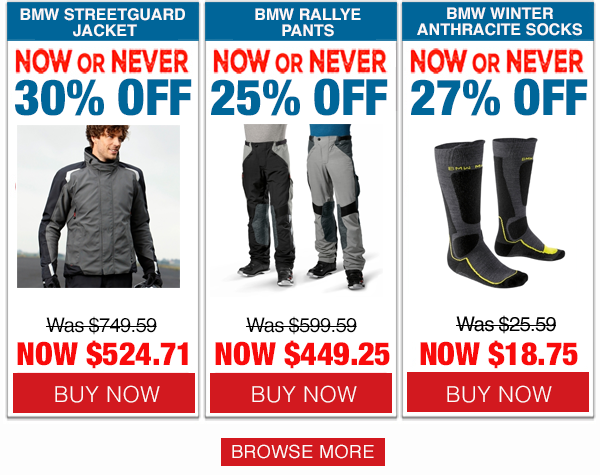 Shop Jackets, Pants, Boots, Gloves, Helmets and MORE in-store and online. With prices this low and quantities limited to in-stock only, you better act NOW or you may NEVER see it again!